Halloween is a ways off, but the new Orange Box from Canonical Ltd. looks like a tasty treat for users wanting a quick, easy way to get started tinkering with OpenStack cloud infrastructure and Ubuntu. 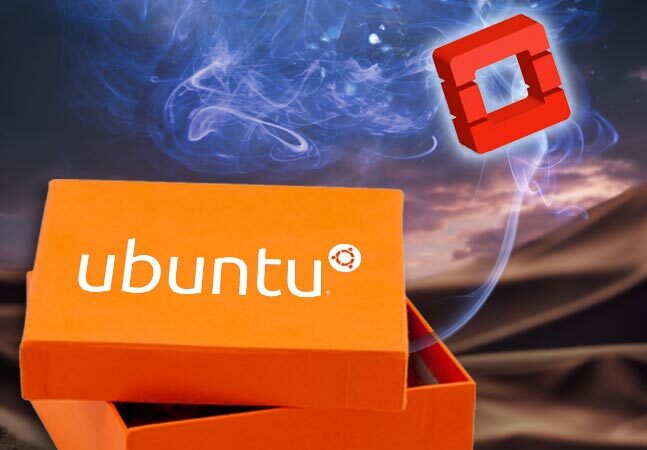 Encased in a ruggedized black flight-case frame with built-in handles, the bright orange cloud-in-a-box made some waves at the recent OpenStack Summit in Atlanta when introduced by Canonical, the steward of the popular Ubuntu Linux OS distribution. OpenStack is open source software for building private and public clouds, providing an OS to handle compute, networking and storage in the cloud. The Orange Box is meant to be a learning aid for users getting instruction on OpenStack and other technologies through the Ubuntu Jumpstart training program. "We are delighted to introduce a new delivery mechanism for Jumpstarts, leveraging the innovative Orange Box," the company said. "We'll deliver an Orange Box to your office, and work with you for two days, learning the ins and outs of Ubuntu, MAAS, Juju, Landscape, and OpenStack, safely within the confines of an Orange Box and without disrupting your production networks. "You get to keep the box for two weeks and carry out your own testing, experimentation, and exploration of Ubuntu's rich ecosystem of cloud tools. We will join you again, a couple of weeks later, to review what you learned and discuss scaling these tools into your own datacenter, onto your own enterprise hardware." The 37 lb. box -- or "mobile cluster" -- comes with Ubuntu 14.04 LTS, Metal as a Service (MaaS) and Juju, the service orchestration tool. The box comes with 16GB of DDR RAM, 10 four-core nodes and 120GB of SSD storage. It features an Intel i5-3427U CPU, an Intel HD4000 GPU and an Intel Gigabit network interface card (NIC). Four nodes include more SSD storage and one includes Intel Wi-Fi and a 2TB hard drive. The appliance, built by Tranquil PC, can deploy OpenStack, Cloud Foundry and Hadoop workloads. Canonical said the unit could be set up in a conference room to let curious systems administrators and engineers get training from experts in a private sandbox without disrupting operations. They can try different storage alternatives, practice scaling and build and destroy environments as needed. Beyond the initial two-day Jumpstart training, customers can use the Orange Box for two weeks at a cost of $10,000. Interested users were advised to contact Canonical for more details.